"Russian Duchess Hid Jewels in Bottles"
LONDON -- One of the few members of the Russian royal family who have lived to tell the tale is the Grand Duchess Maria Pavlovna , a first cousin of the Tsar . Therefore, her book, "Things I Remember,"  dedicated to her murdered father, the Grand Duke Paul , and published recently, is a valuable document. 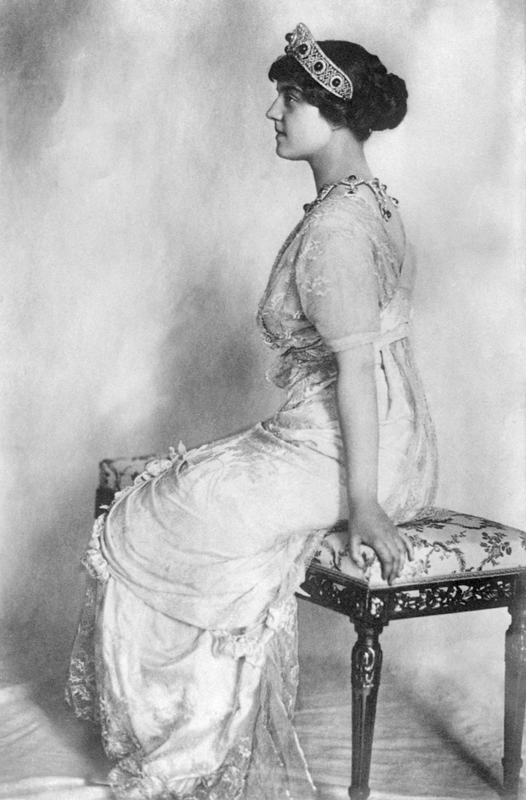 The Grand Duchess, who was born in 1890, felt from the first the insecurity of the Romanov dynasty, perhaps because her mother, Princess Alexandra of Greece , was half a Dane. She was brought up almost wholly by two English nurses, so that she was six years of age before she could speak a word of Russian. Among her most curious experiences under the revolutionary regime is the manner in which she hid her jewels . She placed her diamonds in an empty bottle, first poured paraffin over them and then ink. Other jewels were fastened to paper-weights or dipped in wax so that, provided with a wick, they appeared to be the ends of large church candles. Her husband -- for she had married Sergius Putiakin , whose father had been governor of the royal palace at Tsarskoye Selo  -- was forced to clean the streets, and in order to make money she took up ikon painting and coloring wooden Easter eggs. Her experiences in escaping with her husband and his brother to the part of the Ukraine in the hands of the Germans were nerve-shaking. She had some important documents in a piece of soap and her money in a penholder, and only by great audacity managed to get through the Bolshevik barrier to the German lines, ultimately escaping to Romania . 1. Grand Duchess Maria Pavlovna of Russia (1890-1958), a granddaughter of Emperor Alexander II, was a member of the Russian imperial family (by birth) and Swedish royal family (through her first marriage). She lived through the tumultuous years of the Russian Revolution and spent much of her adult life in exile. During World War I, she worked as a nurse. After she fled Russia, she worked as a fashion designer, a photographer, an artist, and a writer. She is often called Maria Pavlovna "the Younger" to distinguish her from the other famous Maria Pavlovna in the family: Grand Duchess Vladimir. 3. 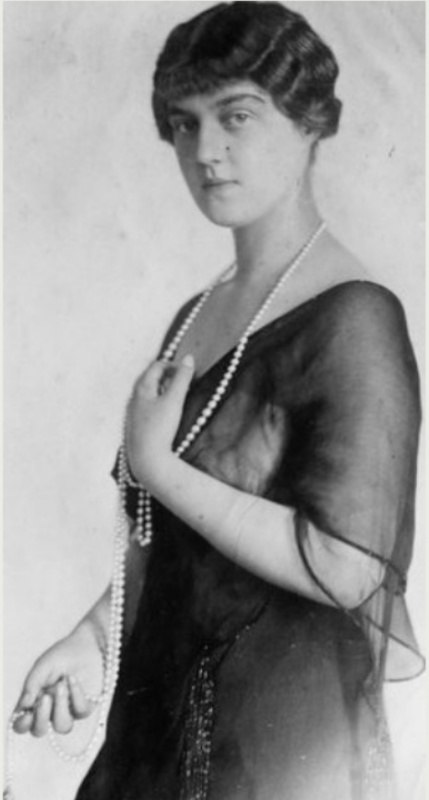 Maria Pavlovna wrote a pair of memoirs, Things I Remember (1930), which was titled Education of a Princess in American editions, and A Princess in Exile (1932). 4. Grand Duke Paul Alexandrovich of Russia (1860-1919), the youngest child of Emperor Alexander II and Empress Maria Alexandrovna of Russia, was Maria Pavlovna's father. He married a Greek princess, Alexandra, but after her death in childbirth, he fell in love with Olga Valerianovna von Pistohlkors, the wife of Grand Duke Vladimir's aide-de-camp. After she began an affair with Paul, Olga and her husband divorced, but Paul's nephew, Emperor Nicholas II, refused to allow Paul and Olga to marry; when they married morganatically anyway in 1902, Nicholas ordered them to leave Russia. Paul's two children, Maria Pavlovna and Dmitri Pavlovich, were sent to live with their uncle and aunt, Grand Duke Sergei Alexandrovich and Grand Duchess Elizabeth Feodorovna, in Moscow. After a decade in exile, Nicholas pardoned Paul and rescinded his banishment, giving Olga the title of Princess Paley. But Paul and Olga's return to Russia eventually proved to be his downfall. In 1919, he was murdered by the Bolsheviks. 5. 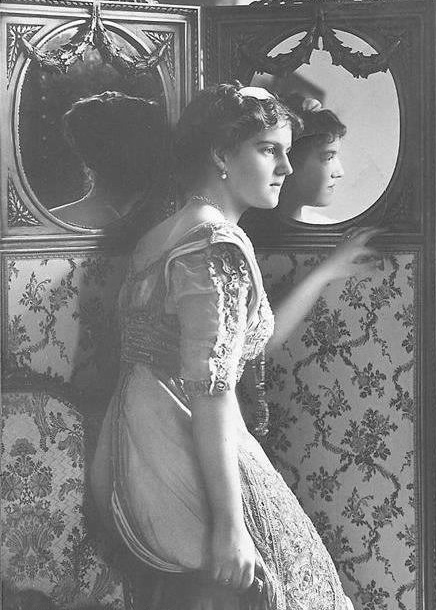 Princess Alexandra of Greece and Denmark (1870-1891), Maria Pavlovna's mother, was the eldest daughter of King George I and Queen Olga of the Hellenes. Through her mother, Alexandra was a great-granddaughter of Emperor Nicholas I of Russia. In 1889, Alexandra married a Russian cousin, Grand Duke Paul Alexandrovich. They had a happy, passionate marriage, but Alexandra's health was precarious. She died after giving birth prematurely to her second child, Grand Duke Dmitri Pavlovich, in 1891. 6. Maria Pavlovna's jewels nearly jeopardized her life during the revolution. She was in Moscow on a trip with her second husband, Sergei, to retrieve her jewelry from a bank vault when the October Revolution of 1917 suddenly broke out. They left the jewels behind and fled back to the home they shared in St. Petersburg (then called Petrograd) with Sergei's parents. Her in-laws were the ones who eventually managed to retrieve her jewels, and she subsequently smuggled some of them out of Russia via Sweden. 7. Prince Sergei Mikhailovich Putyatin (1893-1966), the son of the commandant of Tsarskoye Selo, was Maria Pavlovna's second husband. They married in 1917 and had one child together, a son who died just after his first birthday. They divorced in 1923. Maria Pavlovna's first husband had had a royal pedigree of his own. Prince Wilhelm of Sweden (1884-1965) was the second son of King Gustaf V and Queen Victoria of Sweden. 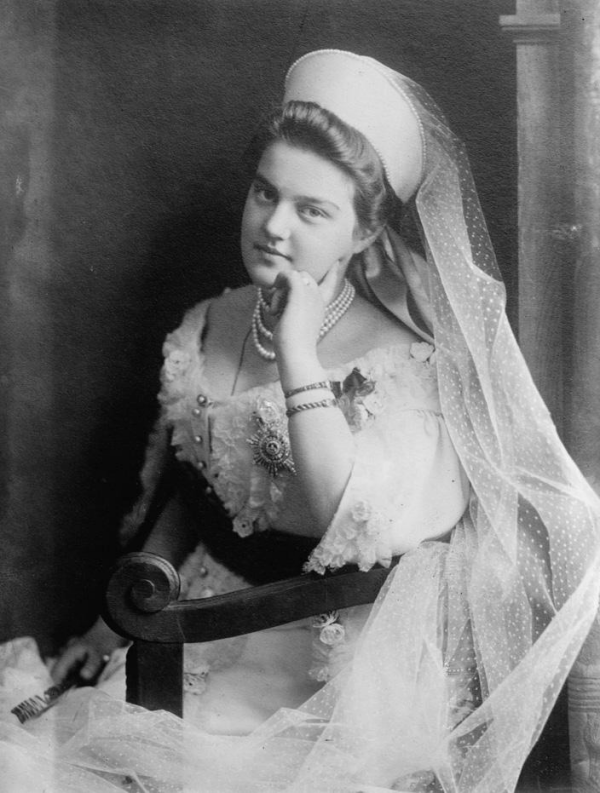 Encouraged by her aunt and guardian, Grand Duchess Ella, Maria accepted a proposal from Wilhelm in 1907, and the couple married at Tsarskoye Selo in the spring of 1908. They had one son, Prince Lennart, but the marriage was unhappy. Maria's cousin, Emperor Nicholas II, officially dissolved the marriage in 1914. Maria returned to Russia, but Prince Lennart remained behind in Sweden to be raised by his father's family. 8. Tsarskoye Selo, now a UNESCO World Heritage Site, was the country home of the Russian imperial family. The estate's name roughly translates as "the Tsar's village." Peter the Great presented the site to his wife, Catherine I, in 1708, and the Romanovs occupied it for the next two centuries, building various palaces, schools, and churches there. 9. Maria Pavolvna's exile began with her flight into the Ukraine in 1918. The document smuggled inside that piece of soap was a Swedish diplomatic paper identifying her as a former princess and the mother of a Swedish princess. From there, she stayed with a cousin, Queen Marie, in Romania. 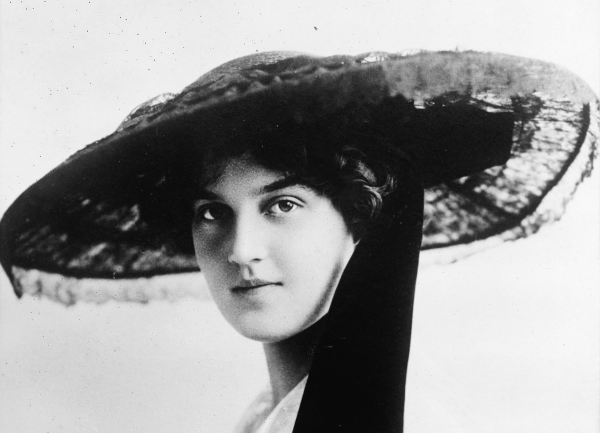 A peripatetic life followed; she lived in Britain, France, America, Argentina, and Germany, where she died in 1958.